is happy for any information to be put on your web site. resemblance, and the time and place are right and we know he was a cricketer. My friend's name is Brian Tooley. Darley Dale cricket club. 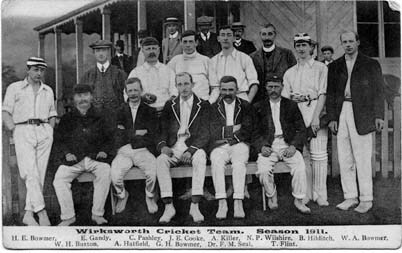 This was several years before the Wirksworth photo.